Norway is such a beautiful country. With an abundance of picture-perfect landscapes, it is the perfect place to escape. It is also a food lover's paradise with plenty of local dishes on offer prepared with locally sourced ingredients. 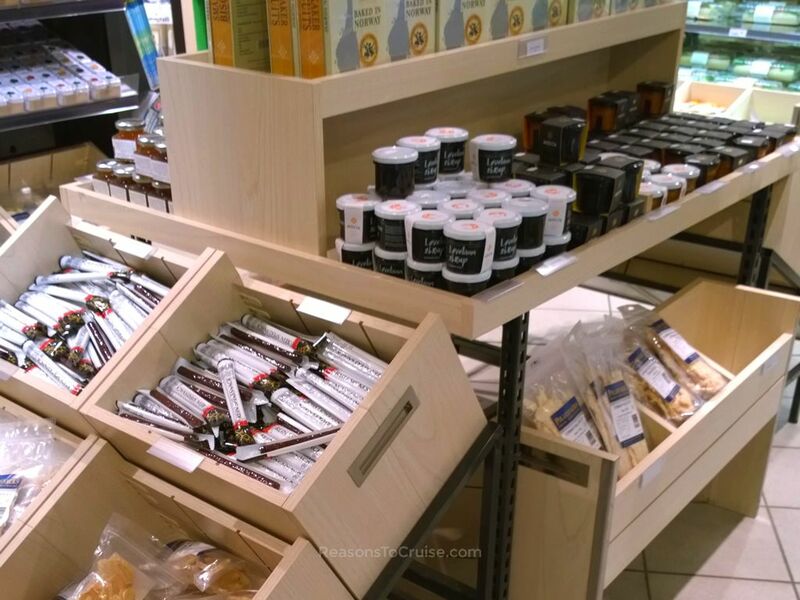 On my brief visit to the Arctic Circle, I stumbled across some interesting foodie finds. I love a good cup of coffee, especially when it is freezing outside and I am in desperate need of warming up. During my voyage along the northernmost tip of mainland Europe with Hurtigruten, I took an excursion to the North Cape. The coach travelled for half an hour along ice-covered roads before suddenly arriving at a ticket barrier in the middle of nowhere. A short drive beyond and I was outside the windswept Visitor Centre at the North Cape. The views across the Barents Sea were fantastic, in particular with the morning sun low on the horizon. I, like hundreds of others at the site, took photographs of the key sights in the dusky light. Inside the Visitor Centre, there were many interesting things to discover. First was a relatively large gift shop (think the size of a small supermarket), selling all sorts of Northern Lights and North Cape memorabilia. There was a post office too so you could send a postcard from the northernmost point of mainland Europe back home. Next was a cinema which regularly ran a short video clip explaining the significance of the North Cape. An underground tunnel detailed key dates from Norway’s past and led to a light and sound theatre where a looped clip showed the volatile weather patterns that span the four seasons. The biggest surprise though was a coffee shop with a menu to rival that of Starbucks. I perched on a bar stool, coffee in hand and cake devoured, overlooking the Globe Monument watching a small group of energetic tourists try to battle the gusty winds to capture the ultimate selfie. 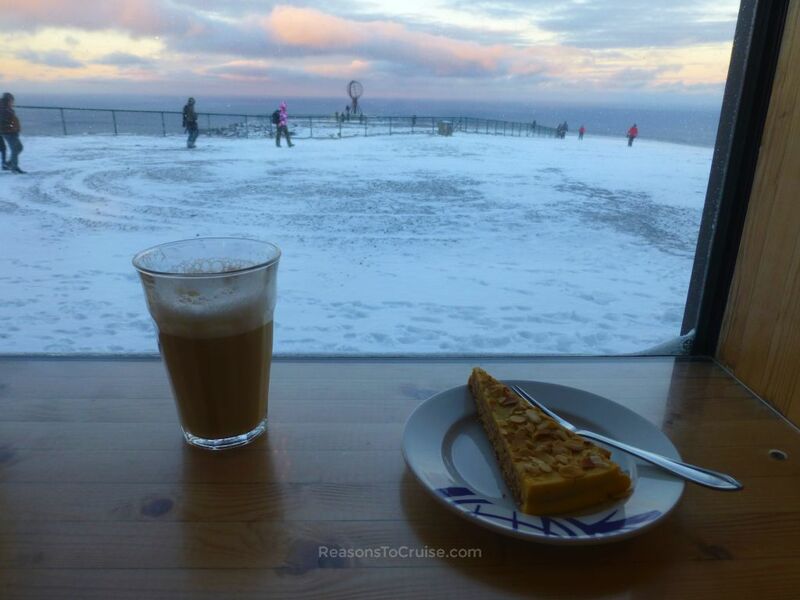 Coffee and cake at what has to be mainland Europe’s most northerly coffee shop! Photographs often mask temperatures, and this was certainly true in the case above. The temperature hovered at freezing point although the wind chill factor on top of this made it feel bitterly cold. In the relatively short space of time spent at the North Cape, icicles had formed on the waiting coaches. My tour guide recounted a tale to demonstrate how powerful the wind could be at the Cape. He recalled how he had gone to check that the coach was warm enough one day. When he opened the door, the wind ripped the windscreen from its frame and threw it 75 metres away! Thankfully my trip was not that extreme, thanks to the relatively good weather. Incidentally, the Hurtigruten excursion still takes place when there is snow covering the roads. The only difference is that the coach is escorted by a snow plough to ensure it reaches the summit. My trip was over far too quickly, and I begrudgingly made my way to Tromsø airport. It is a tiny airport with little besides ample seating areas. I had a couple of hours to fill, having checked-in and passed through security in record time. Reindeer pizza! 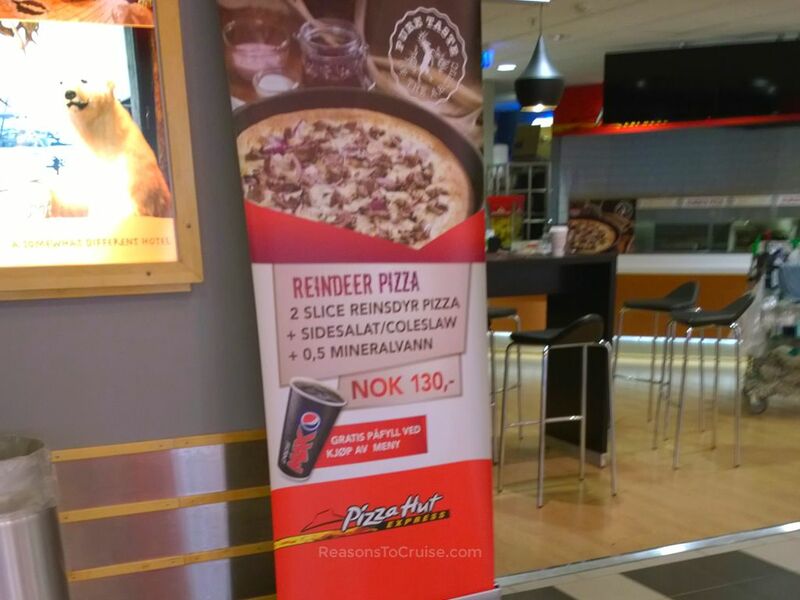 A regular sight in Norway perhaps, but this is one item lacking on my local Pizza Hut menu. Reindeer is a delicacy, especially in northern Norway. It is prepared and cooked in the same way as beef. The Sami people in Norway raise reindeer and such is the importance of reindeer husbandry to their livelihood, it is a legally protected industry. Only Sami descendants with a link to a reindeer herding family can own and raise reindeer for profit. If you can cope with the idea of eating Rudolf, it is well worth tasting reindeer should you have the opportunity. Hurtigruten served up reindeer several times during my voyage, albeit not in pizza form! Don't laugh. 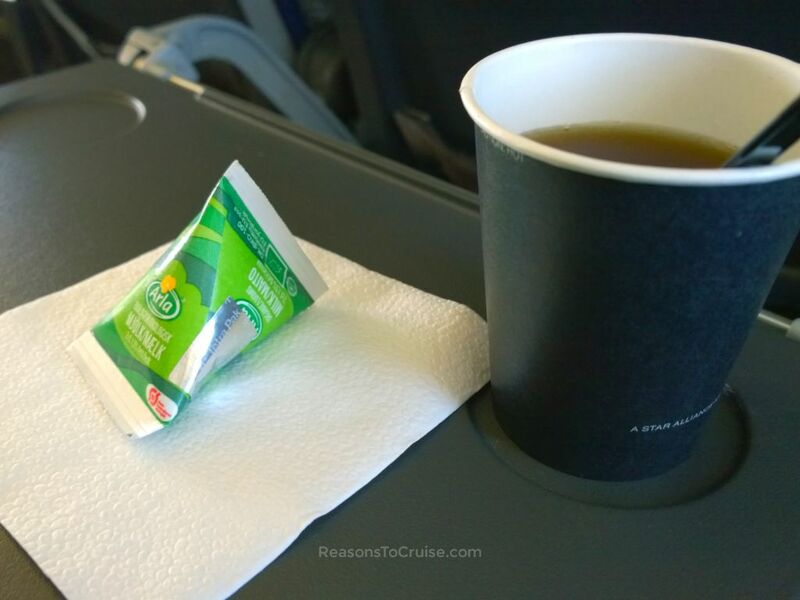 On my SAS flight between Oslo and Tromsø I ordered a cup of tea. Nothing remarkable about that but the delivery of a triangular pouch of milk had me baffled. Never in my life have I encountered triangular milk. Triangular milk pouch – see how innocent it looks! I desperately tried not to look a fool, but it had me perplexed. After many years of experience, I am a dab hand with a traditional mini pot of UHT milk: peel the lid off, and away you go. Triangular milk was not as straightforward. At risk of looking like a fool, I pawed at it like a cat with a new toy. Ashamedly it took several minutes to discover the tiny foil tab. You can only imagine the smug look on my face on the return leg when I had become a triangular milk ninja. Dried fish – stockfish – is big business in Norway. Massive racks of unsalted cod line the coastal paths where the cold air and wind dries and preserves the fish. The product is then called clipfish, or klippfisk, with the addition of salt. Stockfish is Norway’s longest sustained export commodity and the stocks produced in Lofoten are considered some of the best available thanks to its optimal climate. This method of preservation ensures the nutritional benefits of cod remain sans the water content. Understandably dried fish is something you would expect to find in some souvenir shops and the food shop at Tromsø airport did not disappoint – until I looked at the packaging. They sold dried fish but on the back in small print were the words "produced in, and imported from, Iceland". It seems peculiar that the same food produced in abundance on the doorstep originates in Iceland. I can only assume this is either a cost-based decision (i.e. it’s cheaper to source the fish from Iceland than it is from a few miles down the road) or a demand-based decision (i.e. too many people are picking up dried fish as souvenirs for the local suppliers to keep up with). Either way, it pays to read the label to know what you are buying and its provenance. What is the most unusual food you have found on your travels? Let me know by leaving a comment below. 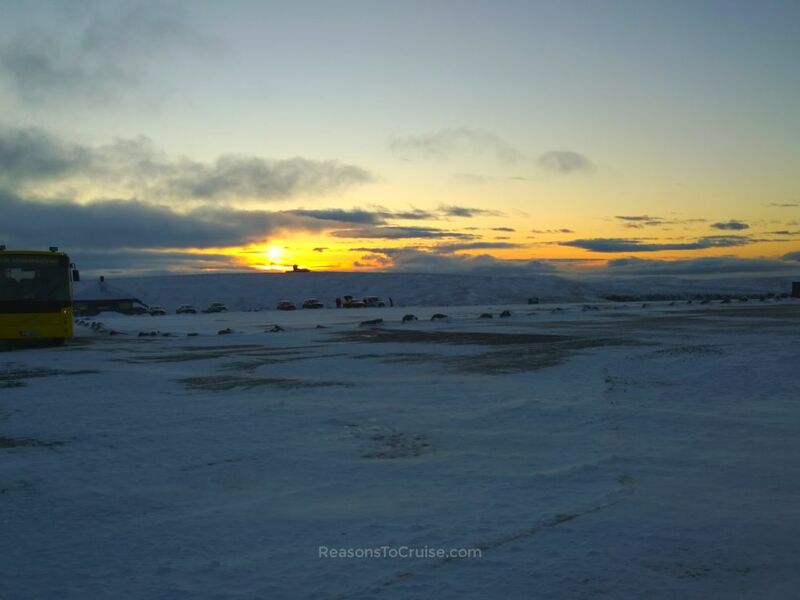 Disclosure: Hurtigruten supplied a full-board sailing on MS Nordlys, shore excursions, return flights, overseas transfers, and Tromsø hotel accommodation. I paid for my transport to and from Heathrow Airport, plus incidentals onboard including drinks and a meal upgrade one night. My opinions are my own.